Most people have a passion, something that they could do any time of any day whether or not they are paid for it. It is still up to each person to pursue that passion, or not. Whether or not God cares what college we attend, who we decide to marry, what neighborhood in which we live, or how many children we have is questionable. The Lord says in Psalms 37 that he would give us the desires of our hearts. Do you want to be a singer? Do you want to be a writer? Do you like fixing cars or hanging shingles on the roof? Do you have a passion to teach or is your passion sewing? Do you enjoy repairing computers or studying human biology? He knows the hearts of men and women, so he would know if the mate you are thinking of choosing is good for you or not. These are probably things we have to decide. Since he knows all things and see all things, we should be smart enough to and seek his input, to consult him. 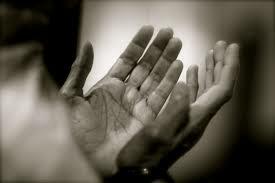 This is where our supplications come into play. Supplications come from the Latin verb “supplicare”, which means “to plead humbly.” It is used approximately 60 times in the Bible. While a supplication is often thought of as a religious prayer to entreat God to use his power for help or a favor. Philippians 4:6 defines supplication, “be careful for nothing; but in every thing by prayer and supplication with thanksgiving let your requests be made known unto God. God had plans for Moses to free the Children of Israel from the Egyptians and to walk them to the promised land. It was Moses’ prayers and supplications that dictated how this plan was carried out. It was only by his prayer and supplication was he able to be the leader he was called to be. He trusted God and he believed he would lead him as he led the people. Unfortunately though, what should have taken 4 days, turned out to be a forty year journey. Psalm 78 tells us that this was because of the people’s lack of faith. They did not pray when they were hungry. They did not pray when they were tired. They did not pray when they were faced with tumult and challenges and trouble they could not handle themselves. They did not seek supplication from God. They did not trust him. Because they did not trust him, they did not pray when they should have. He knows what is best but we decide whether we follow what he has planned for us. According to this scripture, we need goals and action plans for daily living. Notwithstanding, how we reach those goals are up to us. We have choices as to how we reach the goal he has for our lives. The best way to establish goals is to set S.M.A.R.T. goals.S.M.A.R.T. goals are typically used in education and business. My mother used to always tell me to know what you want before you pray for it because you may just get it. I had an idea one day to establish my prayer requests to the S.M.A.R.T. goal format. In this case, S.M.A.R.T. is an acronym that stands for Specific, Measurable, Attainable, Realistic, and Timely. It is an advantageous formula to help you set goals that you can stick with and reach. I used them both to plan my career as well as to teach my students to use them to plan their careers. It was a new concept and I thought it may work. I began thinking about the top thing I wanted in my personal life and narrowed it down to the new bedroom set I wanted to purchase for myself. To make it S.M.A.R.T., I needed to pre-shop to explore selections. Once I identified the specific bedroom set I liked best then I needed to make it measurable by analyzing the cost and method of purchase. Did I want to get it on credit, put it in the layaway, or save to pay for it outright. I decided to combine saving for a nice sized down payment and layaway. This also helped to make my purchase attainable and realistic. Lastly, I created a calendar of payments so that I would only take 6 months to lie in my new bed and organize my clothes in my new dresser and chest of drawers. I was a great plan and I sealed it with prayer. However, I did not know I’d have to factor in the emergency of a family loss, new brakes on the car, the money my daughter would need to help with a flight for a work project, and a new coat for my son. Unfortunately my preparing for “timely”, took a year instead of half a year. God knows everything, he can see what is ahead. Though I was thrown off and a bit irritated by the emergencies which messed up part of my plan, I am practicing putting things in God’s hands so the irritation returned to anticipation pretty quickly after praying for acceptance and peace. The point is, S.M.A.R.T. goals work for personal needs as well career development. Moreover, we serve a God who leaves choice open for his servants. “A man’s heart plans his way, But the Lord directs his steps” says Proverbs 16:9. Our success or failure is not determined by fate. Fate implies an inevitable and usually an adverse outcome. If we want to succeed at an endeavor, we must work hard. All that our hand finds to do, we need to to do it with all our might while we can, says Ecclesiastes 9:10. The Word also says, “The thoughts of the diligent tend only to plenteousness; but of every one that is hasty only to want.” Proverbs 21:5. In other words, the plans of the diligent person are advantaged by their dreams, goals, and work. So then, as we reflect upon our situations, our desires, and our challenges we should consult God and ask him to carry out the steps to get us to where we want to go. This is our role as his servants. Sometimes, though we fear he may have a route different from what we want so we foolishly don’t consult him and try to work out the details ourselves. 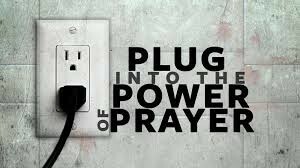 This often leads to disaster because God expects us to pray and let him lead us in our daily lives. He expects us to pray for help in reaching those goals we set. According to Luke 18: 1, we are to “always pray and not faint.” According to 1 Thessalonians 5:17, we are to “pray without ceasing.” Matthew 26:41 tells us to “watch and pray, that ye enter not into temptation: the spirit indeed is willing, but the flesh is weak.” God wants us to pray, every day as often as possible. Daniel prayed 3 times each day. Psalms 55:17 advised us to pray in the morning, in the afternoon, and in the evening. In Psalms 119:164, King David said he prayed seven times a day. We can infer that God wants us to pray and make supplication about everything throughout our day. Consequently, how do we know what his plan is for our daily lives? Simple, ask him. This is how it works. Examine your desires. Know what you want, be certain; trust that God can provide it for you and believe you will receive it; visualize it anticipate its arrival, and speak it into existence. Pray, meditate, wait for direction, and learn to listen to him. Other than keeping his commandments, this is also our duty as we wait for the common salvation of mankind. Besides, prayer works!